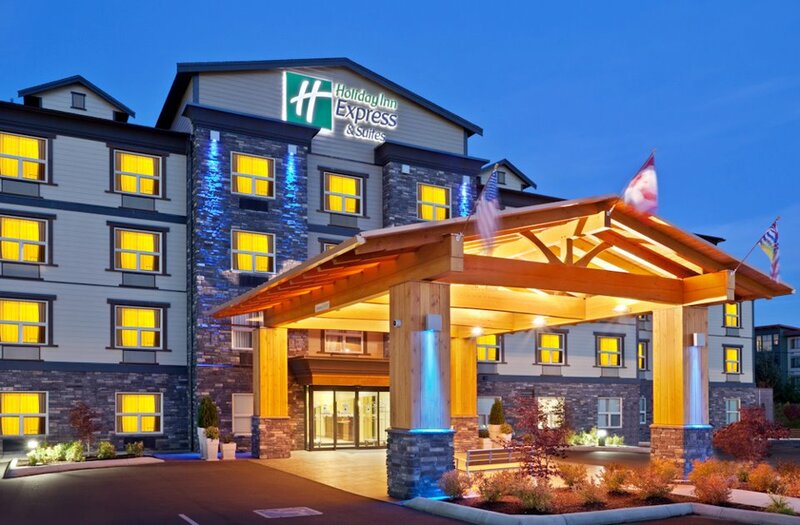 Did you know that Comox Valley Nissan have provided courtesy vehicles to some of our YANA families when they are urgently required for a medical trip? It means so much to us to have Nissan to turn to in these circumstances and means everything to the families helped! 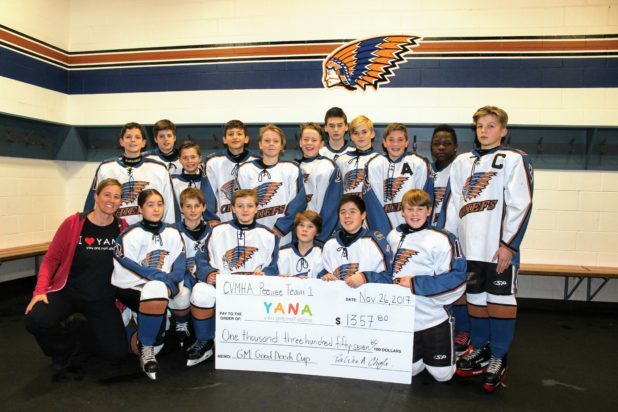 It is really heartwarming when we get to see kids helping kids and our local Pee Wee hockey team have done just that! Thank you for the good deeds you are doing in your community and for the compassion you are showing through your special contribution to YANA this holiday season. A shout-out to Strathcona Ortho Solutions and to an anonymous donor who matched the team’s effort with additional donations! 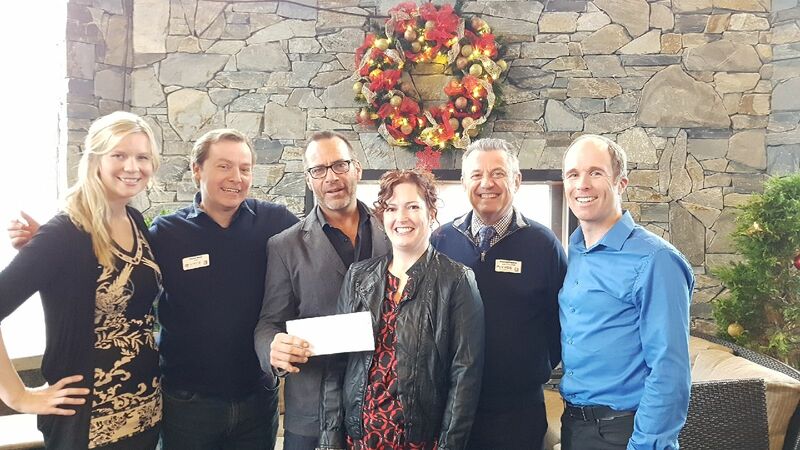 Thank you to the Comox Valley Realtors who once again included YANA in their holiday festivities, we are grateful. Thank you to Kelly and Robbie Rusk who turn their volunteer time into funds for YANA through a special program offered through Investors Group. Your efforts are very much appreciated! 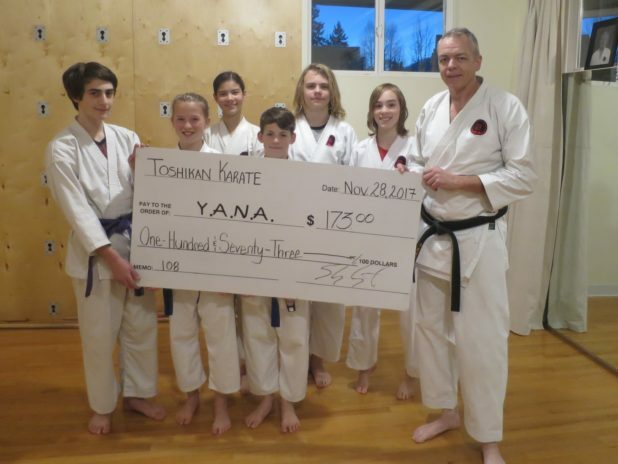 Toshikan Martial Arts did a fundraiser for YANA with karate students performing 108 kata, impressive! Sincere appreciation to Mark the Gold Guy for donating a beautiful diamond ring valued at $3,390! Thank you also to Tim Haley from Simply Timeless for donating the appraisal. 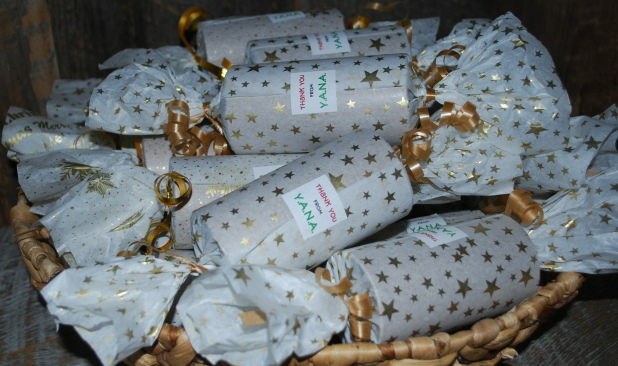 This dynamite duo have been donating the grand prize for the YANA Christmas Crackers for as long as we can remember and we are so grateful! Much appreciation to St. Michael’s Chapel who recently provided a donation in support of local children and families. Sincere thanks to McKinnon Photography for sharing time and talent with YANA over the last months. We are very grateful for your commitment to children’s health through your involvement and appreciate your efforts very much! Thank you for the kindness and generosity Holiday Inn Express & Suites recently showed to YANA!